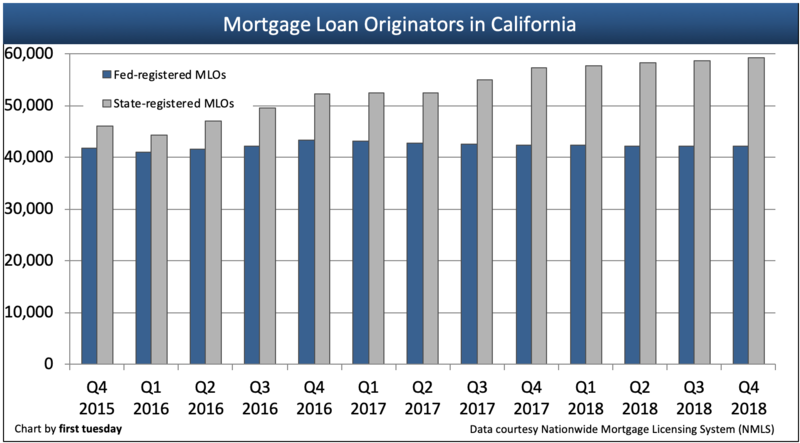 42,200 mortgage loan originators (MLOs) were registered at the federal level in the fourth quarter (Q4) of 2018 in California. This is down very slightly from a year earlier. These MLOs are employees of banks. State-licensed MLOs in California totaled 59,200 in Q4 2018, up 3% from a year earlier. These MLOs are licensed by the California Department of Business Oversight (DBO) or the California Department of Real Estate (DRE). California accounts for 14% of the nation’s state-licensed MLO population (we are 12% of the nation’s population). This indicates mortgage bankers are leaning slightly on broker-packaged originations for business. 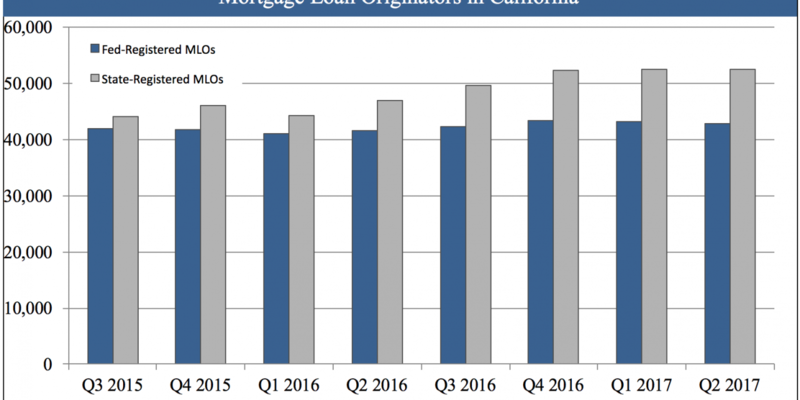 Declining mortgage originations hampered by rising mortgage rates in 2018 and declining sales volume have slowed the growth in state-licensed MLOs. But there is some promising news for MLOs, as interest rates have already fallen back significantly in Q1 2019, likely to continue down in the coming months. Updated March 22, 2019. Original copy released February 2013. 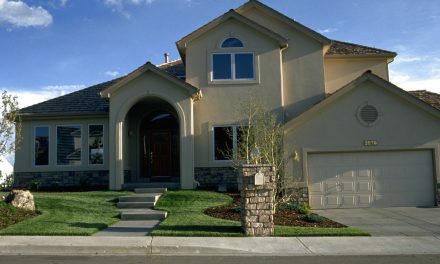 Federally registered mortgage loan originators (MLOs) are employed by federally regulated entities. In other words, these MLOs work for Big Banks like Wells Fargo or Bank of America, etc. the DBO received 1,661 new applications and approved 1,535 individuals (including pending applications). The general trend for state-licensed MLOs was up in Q4 2018 over the prior year, while federally-registered MLOs decreased very slightly. The number of state-licensed MLOs tends to increase throughout the year, and takes a dip in the first quarter of every year. All MLO licenses expire at the end of the calendar year. The January drop-off is due to licensees choosing not to renew at the end of the prior year. Thus, the dip in state-licensed MLOs experienced in Q1 corrects itself throughout the rest of the year. Federally registered MLOs are employed by a federally regulated entity, such as a federally chartered bank. No education requirements exist. State registered MLOs have additional hurdles to jump through to get and maintain their license. 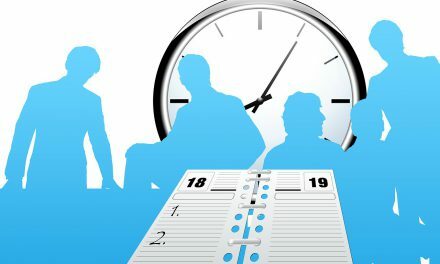 Not only are they required to maintain their respective DRE licenses or DBO endorsements, they also need to take eight hours of continuing education (CE) each year to meet their renewal requirements. 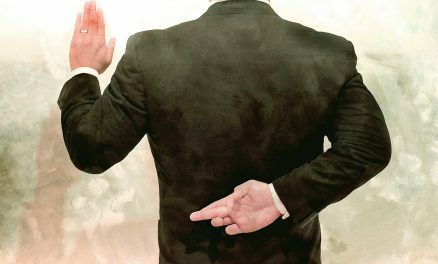 PreviousIs it a violation of appraiser independence? Question…If there are approx. 100,000 Licensed Real Estate Brokers in CA and Approx 42,000 Licensed MLO’S in CA. 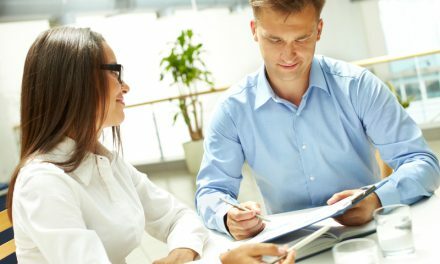 Do you happen to know how many Brokers/Agents hold Both License? I hold both and was wondering how many others do?